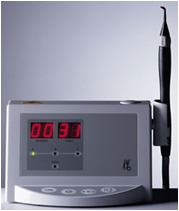 DIAGNOdent® is a breakthrough diagnostic tool used for cavity detection. With a harmless laser, we are able to quickly and efficiently scan your teeth and identify cavities and potential cavities. DIAGNOdent® helps us detect possible problems early on, allowing us to reverse the effects of tooth decay and avoid using fillings.